Get the full sonic spectrum with a split-design 2x12 cab. 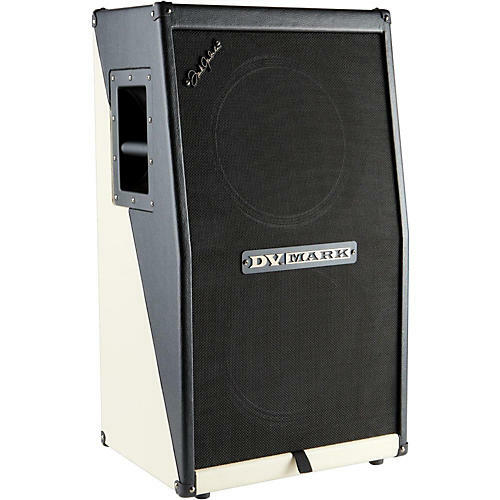 The slant of the top speaker of the FG 212 V cabinet Frank Gambale signature allows you to maintain the low-end you get from keeping the cabinet on the floor, but also keeps one speaker aimed at ear-level for onstage clarity of the mids and highs; it features two 12 DV Neoclassic speakers with great balance in frequency range and an impressive 300W power handling. The split-stack design make it a perfect match for the MULTIAMP stereo setup utilizing one for each side, of course you can™t go wrong using one for mono setup with MULTIAMP, any DV Mark amp heads or whatever your preference is. It' incredibly light weight, and perfect for any size venue.